The fame of basalt fiber does not spread so fastas either carbon or fiberglass though basalt fiber can offer a wide range of competitive advantages. Basalt fiber is filling increasingly more application niches owing to its properties while forcing out sometimes less strong glass fiber,sometimes more expensive carbon fiber. High resistance to abrasion, acids, alkalis and brine, light weight, excellent mechanical strength, magnetic and electrical inertia and many other remarkable properties, along with high occurrence of the raw material make basalt fiber really interesting material for a number of applications. 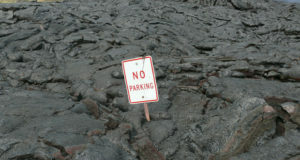 Basalt is the most common rock in the Earth’s crust.By its nature, it is magma erupted from volcanic vents. 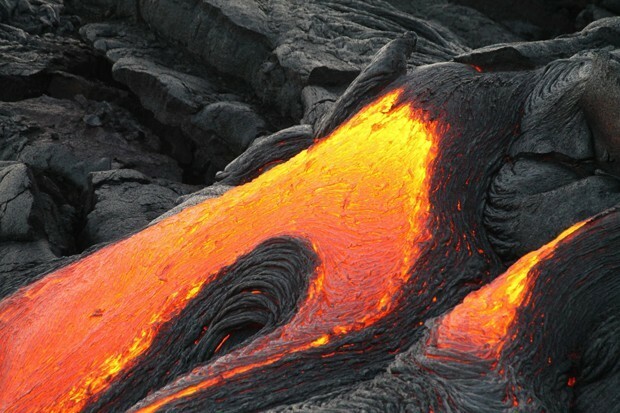 Having entered into interaction with the atmosphere, magma slightly changes its properties, spreading lava flows, and gradually gets cold. There are basalt deposits in almost all countries, their reserves are huge. Basalt rock has been used by mankind for a long time, but it was Paul Dhé from France who came up with the idea to extrude fibers from basalt rock. He was granted a US patent for his invention in 1923. This invention did not generate lots of buzz at that time, but the Cold War period in 1960s served as a catalyst for starting active research in this field. Conducting in secret, the United States and the USSR began to explore the properties of basalt fiber and its possible application scope. First of all, of course, it was for military hardware. The USSR research center was based in Kyiv, Ukraine, where industrial technology was subsequently developed. 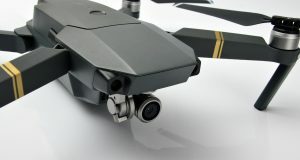 Nevertheless, that time’s technology imperfection hindered the research work almost everywhere and forced to look again at the old proven methods of fiberglass application.Later,carbon fiber appeared on the stage: it is a very expensive material to produce due to a range of processing cycles, but it has properties interesting for the defense industry that triggered its application. Basalt fiber production is a single-stage process: crashed basalt rock is melt in a furnace at a temperature of 1500° C, followed by flowing through plates with funnel-shaped holes (bushing). Depending on the fiber modification, it can be staple or continuous. To produce thin fibers, the melt flowing out of the bushing is blown by a stream of compressed air, but sometimes another method is also used when it is sprayed with centrifugal devices. Continuous fiber is produced by pulling the melt through the bushing into threads and winding them onto spools. Thin fibers are fallen out in the form of separate super-thin filaments, continuous fiber is a thread. Fiberglass is manufactured using a similar technology, but from several components. As for basalt fiber, the nature itself took care of primary material preparation and its homogenization: no chemical additives, nothing except for natural non-metallic, inorganic raw materials. High resistance of basalt fiber to corrosive environment, high temperatures and ultraviolet radiation, also in combustibility and electromagnetic inertia offer exciting opportunities for basalt fiber application in various composite materials. A composite is a product composed of several components: a matrix (or binder) and a filler. Both fibers (fibrous composites) and basalt scales, rovings, cords, fabrics, cloth or tapes made of continuous fiber (laminated composites) are used as a filler. Due to its properties basalt fiber can be a filler for a wide range of matrices: metal, polymer, wood, ceramic, concrete, gypsum and asphalt. If we vary the materials of a binder and a filler, we will manage to manufacture products with the most suitable properties for a particular application field. Basalt composites based on thermoplastic matrix offer excellent crack resistance, impact toughness and are easy to process under high temperature treatment. The process of manufacturing composites with thermoset matrix is longer than with thermoplastic one because matrix molding and curing take more time. Therefore, the leading vehicle manufacturers (cars, ships, aircraft) focus on thermoplastics R&D in order to produce composites in industrial scale with parameters that are not inferior to thermoset composites. Ceramics and metals are used as matrices for heat-resistant basalt composites. The main application fields of such materials are the rocket and aerospace industries. The development of advanced fiber-reinforced aluminum matrix composites is being actively pursued, for example, by the California State Polytechnic University in Pomona (USA). The National Technology Center for Metals and Materials in Thailand published the findings of successful research on basalt fiber used as a filler for the ceramic composition. In 2011 NASA patented a ceramic-basalt composite for rocket engines (patent US 7,968,620 B2). At present time basalt products are the most used in the construction industry. Basalt fiber reinforced concrete has better crack resistance, flexural and tensile strength. After all concrete is used for walls, floors, bridge structures, and underground communications, including arched ones. Basalt fiber perfectly withstands both high humidity of hydraulic structures, and cyclic seasonal temperature changes, the impact of aggressive chemical media and salt solutions. 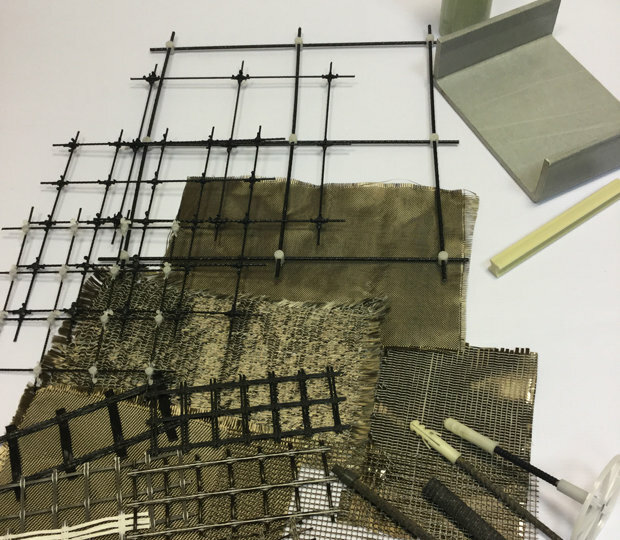 Basalt fiber rebar and masonry mesh are successfully used in construction projects, increasing not only the speed and quality of work, but also the durability of the facility. Road builders use composite basalt fiber fabrics, geomesh and geogrids, strengthening ground or binding with road structural layers. The mineral wool made of thin basalt filaments has also proved to be excellent: it is good thermal and sound insulation, which has found application both in housing and industrial construction. In addition, non-woven basalt materials are applied for high-quality filters used in chemical and pharmacological laboratories. Continuous basalt fiber reinforced tanks and cylinders are being actively developed. They are proved to be ideal vessels for chemical liquids storage and transportation. The head of Infinite Composites Technologies, cryogenic vessels producer (liquefied fuels at low temperatures), said that potential buyers expressed great interest in their first products, which they are currently improving. The modern industry strives for energy efficiency and environmental protection. The leading global laboratories conduct research and offer their solutions and research findings focused on minimizing greenhouse gas emissions and establishing circular production. 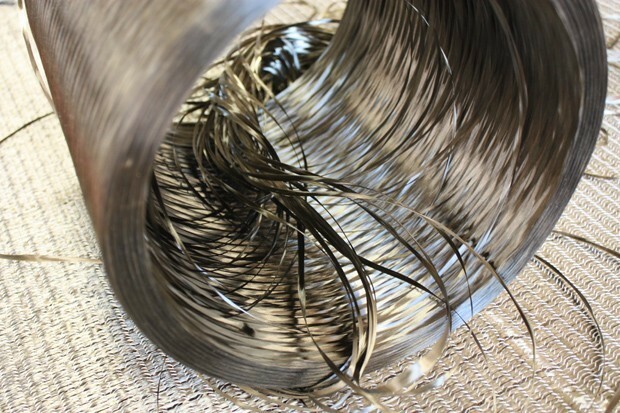 Several projects consider basalt fiber to be one of the most advanced materials in this field: manufacturing process consumes low energy,production wastes can be used to produce other products, and basalt composites themselves are easily recyclable. 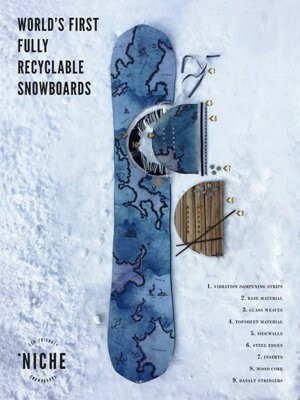 A few years ago the innovative company Niche, for example, produced a completely recyclable basalt fiber based snowboard. The European Union has launched a number of projects devoted to wide implementation of composites in the shipbuilding: RAMSSES, FIBRESHIP. Shipbuilders pay serious attention among other things to basalt composites: they provide us with a number of reasons. The main reason is that basalt fiber is resistant to corrosion, and it is an inflammable, strong and light weight material. 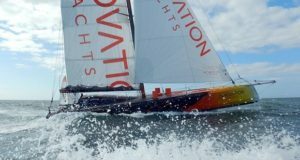 In 2018, as part of the world’s leading composite show JEC World, the project of basalt fiber based eco-yacht offered by Italy-located GS4C srl was nominated for JEC Innovation Award in the category Sustainability, this fact highly evaluates the team’s efforts. GS4C («Go Sailing, for a Change») successfully implements sustainable trends that match global trends, working on the processes and materials for composite boat sable to be recycled at the end of the life cycle. The company has already patented the technology to obtain out of autoclave Fiber Metal Laminate, a composite material made of thin layers of aluminum and fiber consolidated by a vacuum assisted infusion process. The world auto industry is also interested in researching new materials that make it possible to extend the useful life of vehicles, reduce the weight and, therefore, fuel consumption. Owing to such technologies, vehicles propelled by liquid fuel will reduce emissions to the atmosphere, and electric vehicles will extend the mileage range without recharging. Basalt fiber is used not only for brake pads, exhaust pipes thermal insulation and other parts. Tuning studio LARTE Design created ultramodern tuning kits of basalt fiber for Tesla electric vehicles, premium Infiniti SUVs and other prestigious cars. The Roller Team got its car dressed in basalt case. They developed Trigano Group Triaca Concept 230 camping car. The additive industry has also paid attention to the basalt material and fiber, this industry does not almost produce wastes, so opening new horizons for basalt fiber application. 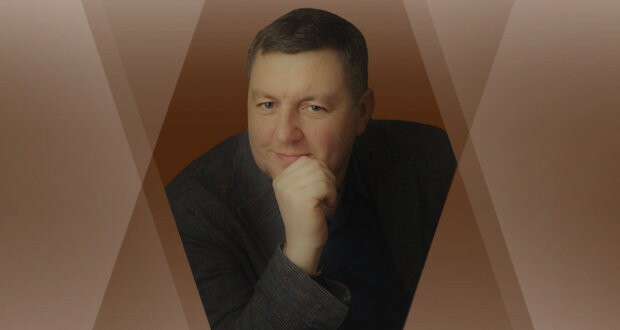 Principal manufacturing engineer of Krasnoyarsk based (Russia) Krastsvetmet, Roman Butusov, talked about benefits and prospects for the growth in production of platinum & rhodium alloy bushings when he met our correspondents during Composite-Expo 2018 in Moscow.